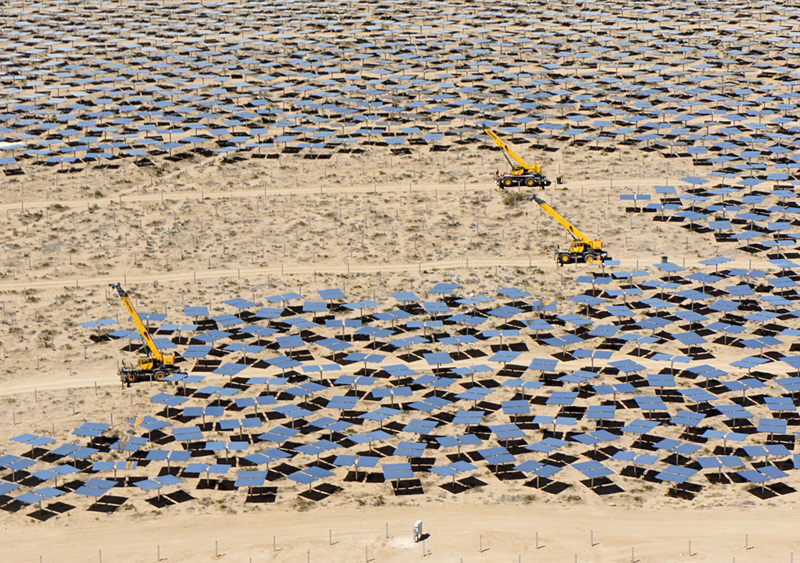 In a few weeks, the largest solar plant of its kind in the world will start producing power in California’s Mojave Desert. The Ivanpah Solar Electric Generating System will supply both Northern and Southern California, inching the state one step closer to its ambitious renewable energy goal. But like many of the large solar projects being built in the Mojave, Ivanpah ran into delays and controversy over its environmental impact. Now, in an effort to streamline the process, state officials are trying to broker an agreement between conservation groups and solar companies on a path forward for renewable energy. 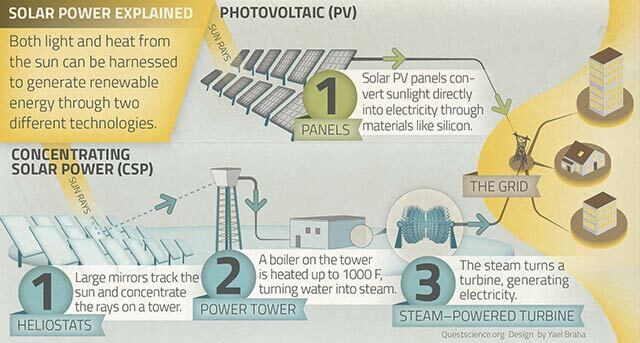 Ivanpah doesn’t use the solar technology most of us think of – those dark, silicon panels sitting on rooftops. 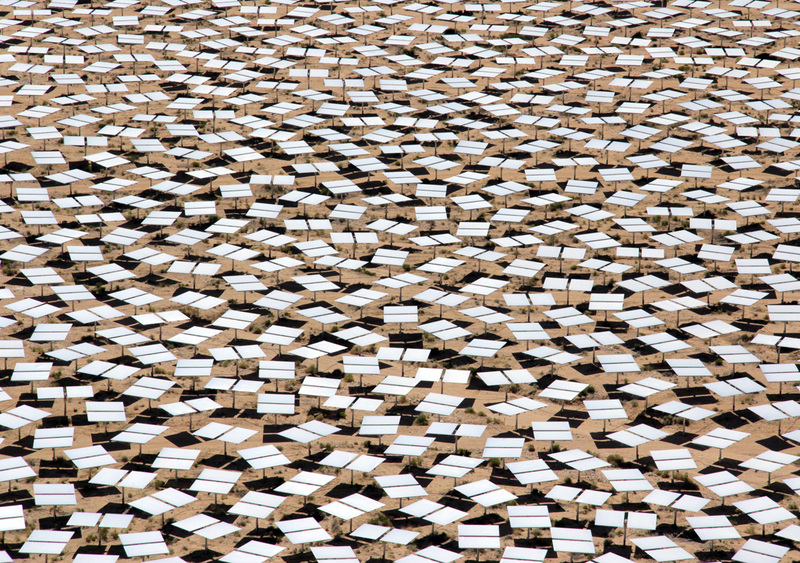 The project harnesses the sun’s heat, reflecting off a field of 170,000 mirrors. They shimmer across a dry, dusty valley about five miles away from the California-Nevada state line, surrounding three 400-foot concrete towers. “We can keep the sun’s energy - the rays of the sun - targeted back to the solar tower,” said Dave Beaudoin, construction manager for the $2.2 billion project, originally developed by Oakland-based BrightSource Energy. The garage door-sized mirrors focus the heat on giant boilers on top of the towers, where water turns into steam. That steam powers a turbine that generates electricity. 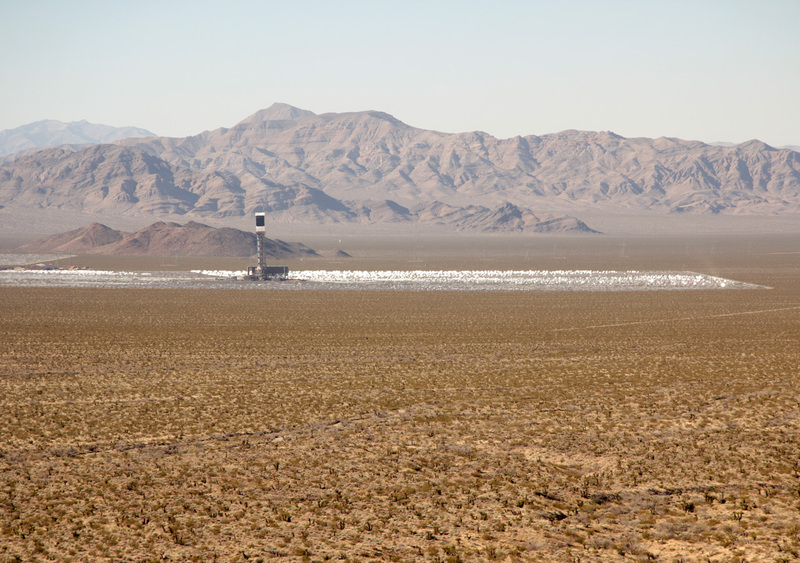 Ivanpah will supply about 140,000 homes in Pacific Gas & Electric and Southern California Edison territories when it comes fully online by the end of the year. But getting to that finish line has been a rough road for the project. It took several years to get permits from almost a dozen state, federal and local agencies. The project became political fodder after getting a $1.6 billion federal loan guarantee, like the bankrupt solar company Solyndra. 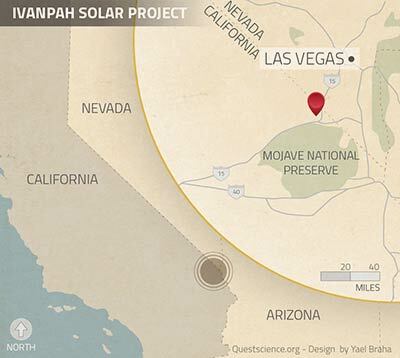 And then there’s the desert tortoise – the controversy that’s made Ivanpah famous. 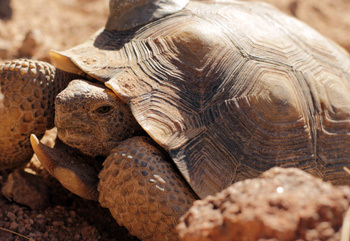 Desert tortoises are a threatened species, so BrightSource relocates the ones found on the construction site. Young tortoises are held until they’re big enough to release. Several dozen adults have been moved offsite and are tracked with radio tags. BrightSource planned on finding just 35 desert tortoises when the project began, but came up with five times that number. That meant shutting down construction and doing another biological survey. “Almost every foot of our 3,500-acres, approximately, has been covered by a biologist at least ten times,” Davis said. The relocation program has come at a cost: $55,000 per tortoise. It’s been watched closely by critics like Ileene Anderson of the Center for Biological Diversity, one of the groups concerned over the loss of desert habitat. “I’m not a big fan of the super-large projects,” she said. Utilities were on the hunt for large renewable energy contracts after California set a goal of getting 33 percent of its electricity from renewable sources by 2020. There was a rush to get big solar farms underway to meet the Department of Energy’s loan guarantee program deadlines. 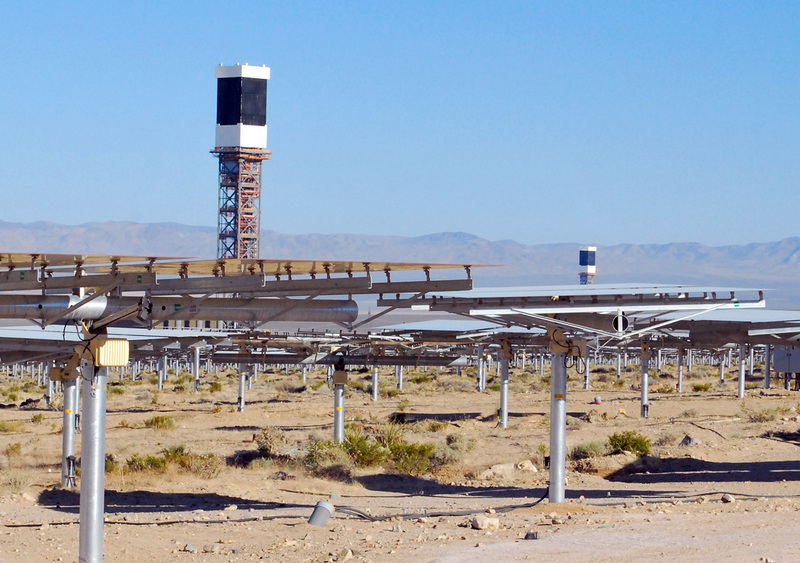 In addition to Ivanpah, six other major solar projects are expected to open in California over the next year. But other environmental groups raised concerns from another perspective: climate change, something that could harm desert wildlife in the long run. 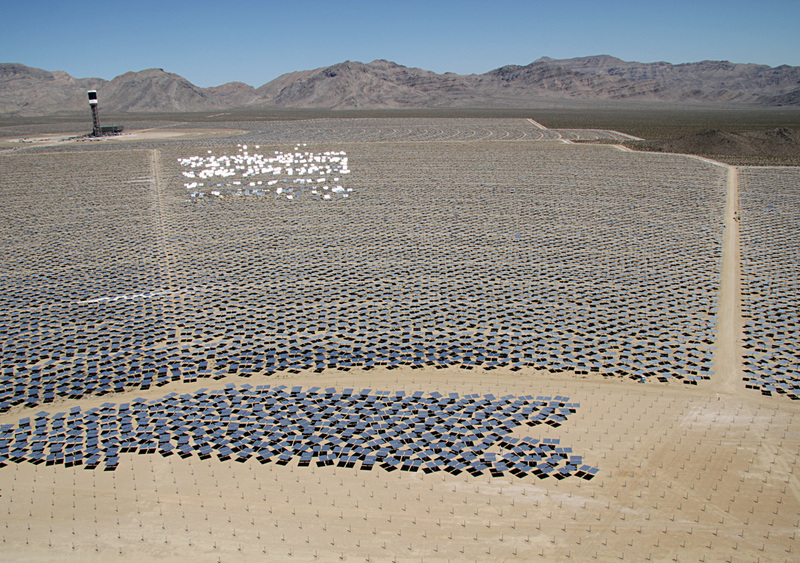 “Even if we paved the whole California desert with solar plants, it’s not going to save the planet,” Anderson responded. These differing views sparked a “green vs. green” debate between those who wanted to file lawsuits to stop projects and those who didn’t want to see solar developers driven away. In end, with the threat of lawsuits in the air, environmental groups negotiated with BrightSource and other developers to set aside nature preserves in the desert. 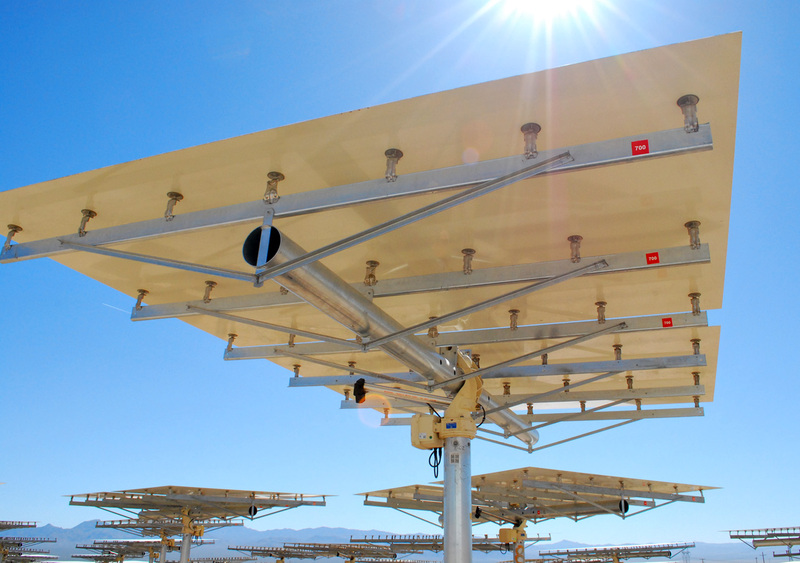 In an effort to stem the conflict, California is trying to forge a smoother path for future projects through the Desert Renewable Energy Conservation Plan. The idea is to divvy up the desert into zones suitable for renewable energy development and conservation areas that are off-limits. Solar developers, counties, conservation groups and federal and state agencies are hashing out the comprehensive plan. Other Western states have run into similar problems and are watching California’s effort. A full draft of the plan’s environmental review is expected this fall.